Working with a lot of geeks, we tend to find all sorts of humorous images and such. I thought I’d start sharing some of them with you. 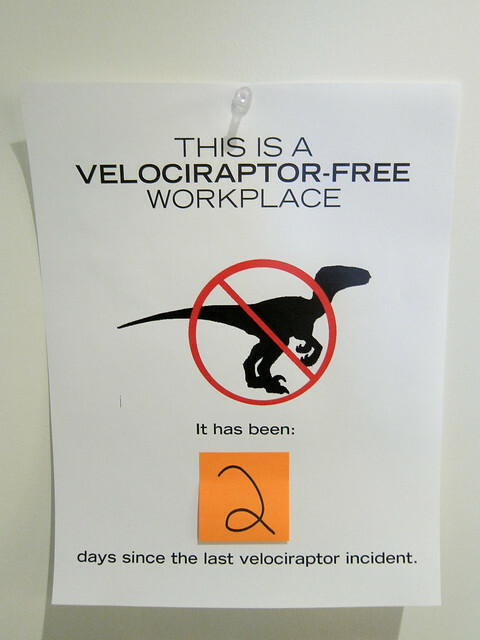 Today brings us the Velociraptor-Free Workplace. Thanks to Laughing Squid for sharing this with all of us on the internet.